Equipment for racers from racers. The RC4 Worldcup GS is the perfect choice for big, fast turns. The CURV BOOSTER plate makes cornering extremely quick and ensures optimum power transfer. Original Giant Slalom FIS Masters standard. With the new CURV BOOSTER plate. Faster turn initiation, quicker reaction and extreme acceleration. 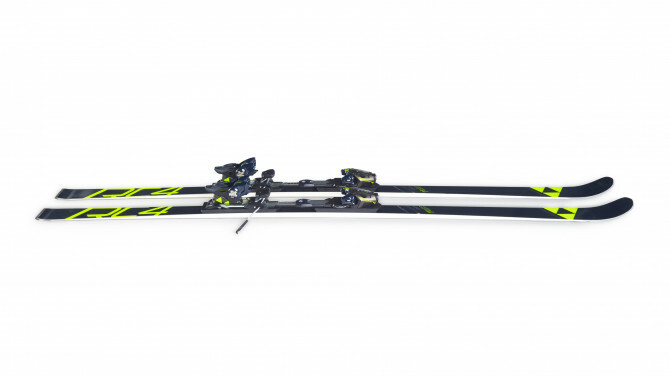 The special construction was developed together with athletes and World Cup specialists and enables unrivalled ski flex. RACE CODE ist your guaratee of the technological edge direct from the Fischer Race Department. All innovations have been developed together with the athletes and the people responsible in the World Cup. To best satisfy the tough requirements which are found there, skis, boots and bindings in the RACE CODE line are tuned perfectly to each other.